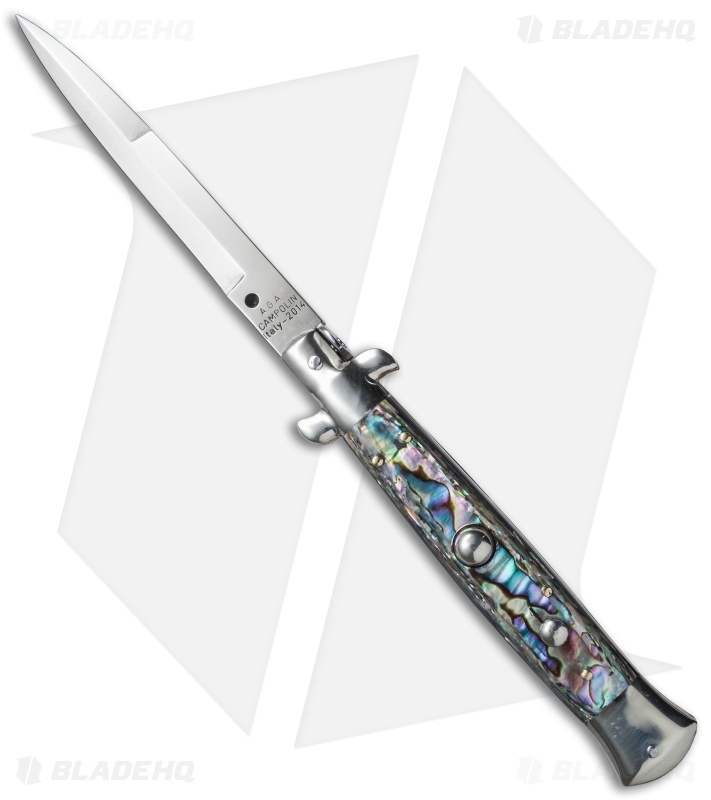 This 10" Italian Stiletto from A.G.A. 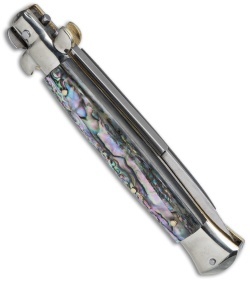 Campolin comes in the traditional style with an abalone handle and a bayonet blade with a picklock. A.G.A. Campolin offers some of the finest traditional Italian Stiletto's on the market, with a variety of collectible styles to choose from. This Sicilian model has an abalone handle with nickel silver bolsters and buttons. Brass pins and liners add a classic touch to the design. The blade comes in a bayonet style with a plain edge and a polished finish. Add a piece of Italian history to your collection with the A.G.A. 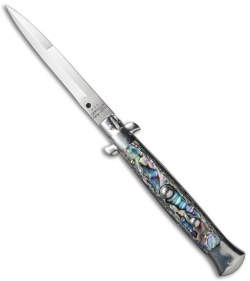 Campolin 10" Picklock Stiletto.